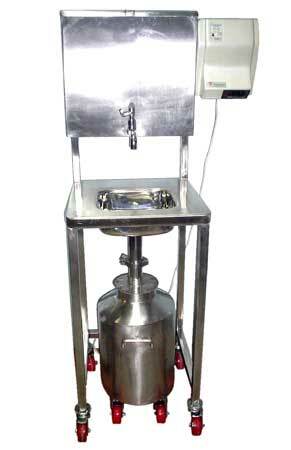 We are engaged in Manufacturing and Supplying of Mobile Hand Wash Sink. We offer the best quality of Mobile Hand Wash Sink. Our Mobile Hand Wash Sinks are easy and convenient to use. Also, the Mobile Hand Wash Sinks we manufacture are made up of high grade Stainless Steel. Our Mobile Hand Wash Sinks are perfect for temporary purposes and areas having no drainage. The Mobile Hand Wash Sink comes with Soap, Dispenser and Hot Air Hand Dryer.